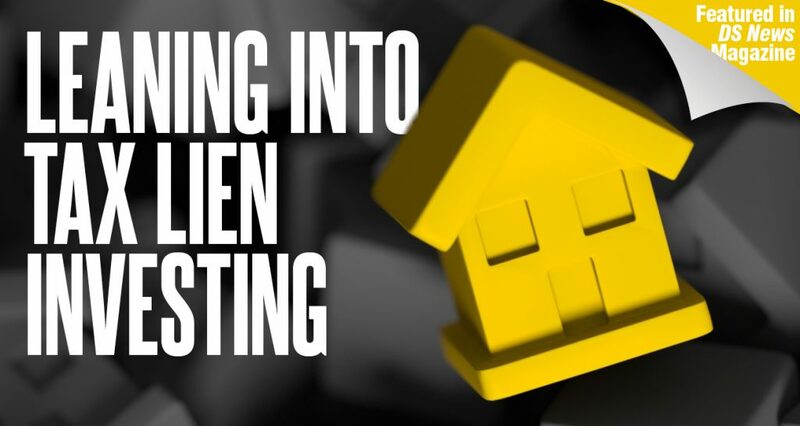 Tax lien investing is a more-than-billion-dollar-a-year business that holds the promise of mid to high double-digit returns for those who know what they’re doing and who have the patience for a process that can take several years to complete. 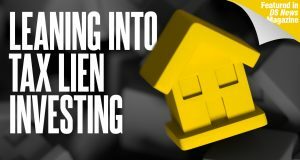 However, tax lien investing is certainly no pennies-on-the-dollar or get-rich-quick opportunity, and it may not be right for every investor. It requires a keen understanding of the variances among state statutes, a high level of due diligence, and continuous research to stay current on legislation. Let’s take a closer look at the strategy and its risks and rewards so you can determine whether it makes sense for you. What Is Tax Lien Investing? When a property owner fails to pay real estate taxes, local governments are denied the revenue they depend on for funding infrastructure and essential services such as law enforcement, firefighting, schools, hospitals, etc. If the taxes on a given property remain delinquent, after a certain amount of time, the government may auction off its tax lien the right to foreclose on that property due to nonpayment of taxes. In most states, a tax lien is a “super lien,” meaning it has priority over all other types of liens (mortgages, deeds of trust, and other private liens), secondary only to IRS, state, or municipal liens, making it an attractive investment. Some investors are drawn to this type of investing since it provides an element of real estate diversification in their portfolio without their having to invest in a piece of property. Others like the possibility of above-average returns for a relatively low outlay of capital. How Does a Tax Lien Auction Work? First, understand that you are bidding on the right to collect on the delinquent taxpayer’s debt rather than on an actual deed to the property. The government auctioning off the lien is interested in recouping its lost or potentially lost revenue rather than in making a profit, so the lien often ends up being sold for a fraction of the property’s market value, presenting a potentially lucrative ROI for the investor. The winning bidder pays the amount of taxes owed in return for the right to collect that money—plus interest penalty charges that can range as high as 16 to 36 percent—from the property owner or, barring that, to foreclose on and take title to the property. The reason most states offer such high rates of return is to make it attractive for large investors so they can clear their back taxes off the books and make their budget for the year. Auctions are primarily an annual event that enables local governments to be paid now, as opposed to down the road—or never. Some states, such as Georgia or Texas, actually conduct their auctions every month. Interest rates vary from state to state, and not all states allow tax lien sales. For instance, the maximum statutory interest rate in Arizona is 16 percent, with a three-year right of redemption, In Illinois, it is 18 percent with an up-to-three-year redemption period. In Texas, the maximum could be as much as 50 percent, with as little as a six-month right of redemption. Investors should thoroughly research an individual state’s laws before participating in any tax lien sale. The redemption period is the amount of time allotted by state statute in which a property owner can pay off the tax lien, with interest and penalties, to the holder of the tax lien certificate. If the property owner fails to make such timely payment, the investor may foreclose on the property and sell it at full market price. However, many states have extensive pre-foreclosure requirements, such as giving the property owner notice that you have the lien, filing court papers, placing media notices, conducting title searches, etc. Failure to follow a state’s requirements could render your lien invalid and your entire investment worthless. Many investors choose to work with a local attorney or third-party tax-lien-investing specialist to ensure no necessary step is omitted. choose to engage the services of a lawyer or tax-lien investment specialist in the area where the subject property is located; those professionals may focus on a single area or a combination of service areas. The investor may also opt for a turnkey firm that handles it all—from bidding at auction to handling all the legal aspects, oversight, repair, rent, redemption tracking, collections, evictions, and any other process associated with your investments. This may go as far as attending hearings and closings on your behalf. Tax lien investing is being dominated more and more by institutional investors such as hedge funds and banks. A reputable third-party provider can identify and research the niche markets that the “big players” haven’t yet moved into and can provide the resources within those markets to help the individual investor succeed. It’s important to identify what type of investor you are so that you don’t waste millions (or more) on an inappropriately located acquisition. There are two types of investors: property investors and redemption investors. Property investors are more interested in obtaining property at a fraction of market value, yet they also need a fair yield should the lien redeem. In their case, it makes the most sense to focus on states where the redemption laws are more aggressive, which increases the chances of foreclosure; or states where, if the lien/deed redeems, the yield will be better than average. Those areas include Georgia (12 months, 20 percent), Texas (6/24 months, 25 percent/50 percent), or South Carolina (12 months, 12 percent). Redemption investors are more interested in obtaining a conservative, high-yield return upon the redemption/payment of their tax liens. That means focusing on states where the redemption periods are longer/less aggressive yet provide a high annual compounding yield, such as Illinois (36 months, 36 percent) or Iowa (24 months, 24 percent). Buying tax liens is not a good fit for every investor. In addition to an investor’s commitment and continuing hard work, it also requires up-front capital, as most governments require cash payment at the sale. It takes time for any return on investment to be realized. Yes, the returns can be tremendous, but be sure you are aware of the risks. Tax lien investing involves a fixed-sum payment when the lien is resolved, which can be a drawback to investors seeking to earn residual income over time. Most auction rules preclude an investor from viewing the property except from the outside, which can lead to some unhappy surprises (and a losing investment) upon foreclosure and takeover of the site. There is a possibility of subsequent liens, which the investor, as initial lien holder, will have to purchase. Another risk is the level of competition you may encounter at auction, as more and more big investors are moving into this market sector looking for bargains. Do your due diligence—and then some. There’s no substitute for in-depth research into your chosen local market and individual opportunities. Since you won’t get to see the inside of the property for which the tax lien certificate is offered, look closely at nearby properties and neighborhood values. Check county records for any additional liens on file. Make sure you understand each municipality’s guidelines. Be prepared for an auction to quickly ramp up out of the “good deal” range. Know how much you’re willing to pay and don’t go beyond it.